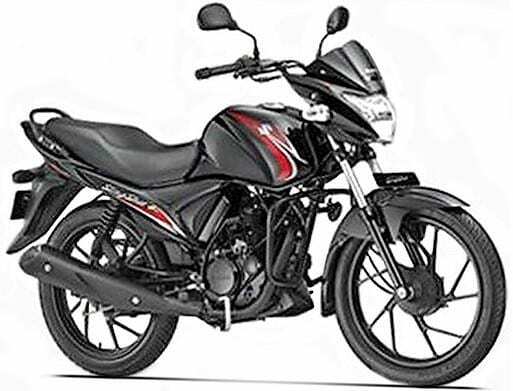 So, what are the options for a 21-year-old student who has completed her CBT but spent all her savings on motorcycle gear and consequently has no money left for the actual motorcycle itself? Well, it is quite simple – renting! Let me highlight from now, that simple turned out to be far from simple and I was honestly shocked at how difficult it was to find a place where I could hire a 125cc for two weeks in the metropolis that I considered North London to be. Searching like a mad woman all over the internet and calling all sorts of dodgy places, I discovered that prices were extortionate, that many of the terms and conditions omitted me because of my age and that if you type in “places to hire a 125cc in North London” into Google, 80% of the options are based in central London- useful. So today I have decided to try and help all those out there who are currently in this situation. Currently standing on a solid 2/5 rating on Google, I now understand why this option fell through completely last year. However, back when the place was rated 4.5/5, seeing that they charged a reasonable £150 per week for a Yamaha YBR125 or Honda CG125 and with a clear, smart and well-designed website, I jumped at the opportunity. Iñigo and I discussed the issue and concluded that with such a professional website and courteous man on the telephone, it was worth travelling the distance to hire something which looked good and was pocket friendly. Low and behold, one Friday afternoon I met Iñigo at Euston Square station, hopped onto the back of his BMW R1200R and travelled to Super Bike Hire to collect a bike they had reserved for me over the phone that morning. I was a little nervous considering it would be my first-time riding in London on a new bike, at rush hour, having just passed my test, but overall I was excited that for the next two weeks, I would be able to practice my newly discovered skills in the summer warmth. As we rode into the yard I sunk into a deep silence. Where were we? Was this really the place? Surely, we had typed the postcode in the GPS incorrectly… this motorbike graveyard, filled with broken bikes all lined up as if they were about to enter a slaughter house, with rusty engine parts scattered across the floor and guarded by big scary looking dogs did not resemble the images I had in mind at all. Suddenly the no PDA Natalia wanted to cling onto Iñigo like there was no tomorrow, fearful that any old drug dealer was about to attack me from behind or steal Iñigo’s shiny BMW. We walked in and met a gentleman who kindly showed us what bike I would be renting. The poor thing had been abused; ripped seats exposing its flesh, cuts and bruises all along its body and voice that gave pity when it sung, I wanted to ride it away into freedom! Long story short, whilst filling out the various paperwork I discovered a clause which due to my age would not allow me to hire the bike and it is safe to say that we ran out of that death scene like there was no tomorrow. Overall, would I recommend the place – No. It is that simple. The people were not particularly friendly, the bikes looked like they had been rescued from a bump but their lives had not been improved much and personally I found the place itself scary. There is not denying that if you go to a dealership to hire a bike, you know exactly what you are getting. The bikes are safe, secure, potentially relatively new and well looked after. Online, Honda offered a large range of bikes to hire, from the PCX125, to the GL1800 Goldwing, but hiring the CBF125 for 7 days would cost me £240. Yamaha on the other hand offered 3 bikes I could legally ride, the Delight 115cc, TriCity 125cc and MT 125cc, all priced at £195 per week. Although these options were closer to home and I knew I could trust that the bikes would be in good condition, for me at the time, they were just a tad too expensive. However, knowing the guys at HGB personally, I am happy to recommend the place to anyone- they are friendly, funny and happy to help, and if you have the money, hire from them. So, what is the intermediate option between a machine that will not start and a company that puts you back just under £500 for two weeks?… London Motorcycles Ealing. Kindly located metres away from Northfields tube station, which made returning the bike relatively easy from Stanmore, I ended up renting from here at the very reasonable price of £160 per week. Not only was I given insurance, a new bike, padlock and 24-hour roadside assistance, but the gentlemen who attended us was truly lovely. As we arrived at the enclosed yard, with shiny well-kept bikes neatly awaiting our arrival, the place instantly inspired confidence in me. We entered the office and were greeted by a friendly gentleman who explained the entire process to us and showed us the bike. I would be renting was a Suzuki Slingshot- new to the market, very similar to the CB125F and with the additional feature of informing me of which gear I was in, I was pleased. Paperwork signed, I spent a good 10 minutes in the yard going up and down, practising gear changes, bends and of course, testing the breaks. We rode home, me in front and Iñigo behind directing me back as I got used to the bike. Having realised that the bike only had 350 or so miles on it, it became my ultimate mission to at least match or double the number of miles it had done before I had to return it – to the Krazy Horse we went! Avoiding motorways, through the fun and bendy roads, across countryside, to the café and back- it was great! The bike worked well, smoothly and did its job brilliantly considering I put it through its paces over the two weeks, getting the most out of my time with it. Together we got lost during the week around the Chiltern Hills without Iñigo or a GPS, fully relying on towns I had heard of as we went for trips every day in the sun, and during the weekend we chased after Iñigo, trying to reach 70mph on A roads (something only possible when going downhill with the wind in your favour). Two weeks later, I sadly returned it back, with the man in charge being shocked at how much mileage I had managed to put on it and me beaming confidently at how I had taken it to Cambridge and back. I really liked London Motorcycles Ealing. All the staff were helpful, friendly and willing to help. The bikes they offer are brilliantly looked after and very reasonably priced. They are located in an accessible area of London via both bus and train, and despite me dropping the bike once in stand still, they ignored the tiny scratch. Overall, a brilliant service and I highly recommend them to anyone. The route to the Krazy Horse can be found here.